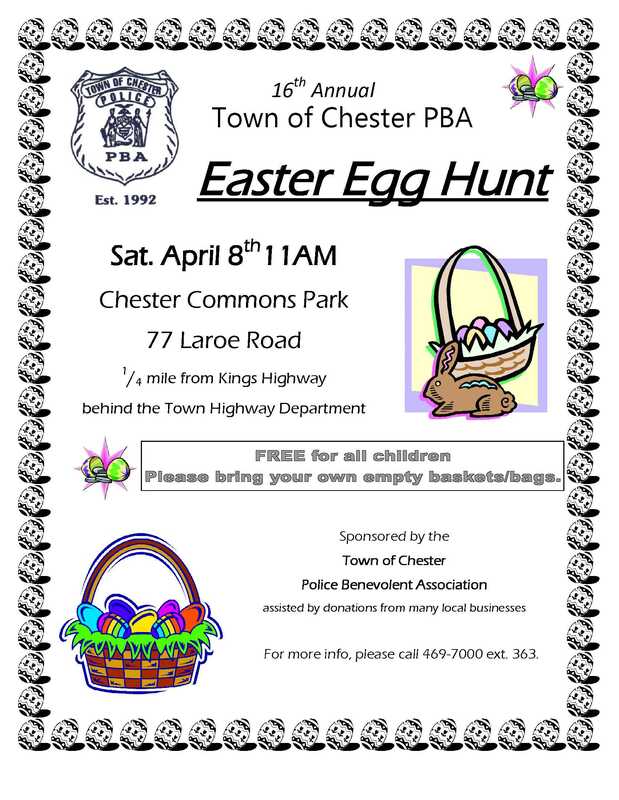 The Town of Chester PBA will be hosting their 16th annual Easter Egg Hunt on Saturday 4/8 at 11AM. The event is free due to donations from the PBA and local businesses. Please bring your own empty bags and baskets.